why haven’t i been blogging? Stephen Abram and Kendra, originally uploaded by newrambler. i’ve been too busy with other things – like school, work, and going to conferences. see that? 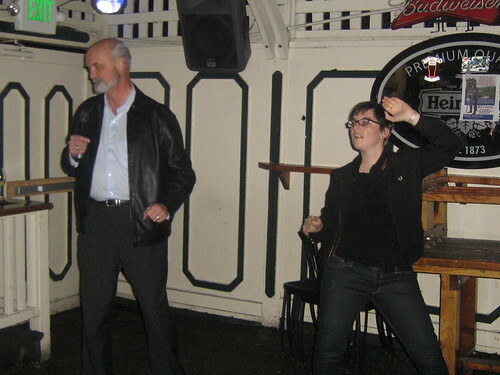 that’s me at internet librarian 2008 making a fool of myself with the outgoing president of SLA, stephen abram. despite trying to be more professional, such as getting more involved with SLA, i still can’t stop dancing like an idiot. are you kidding me? that was fabulous! Wow! And I thought John Peel was dead.